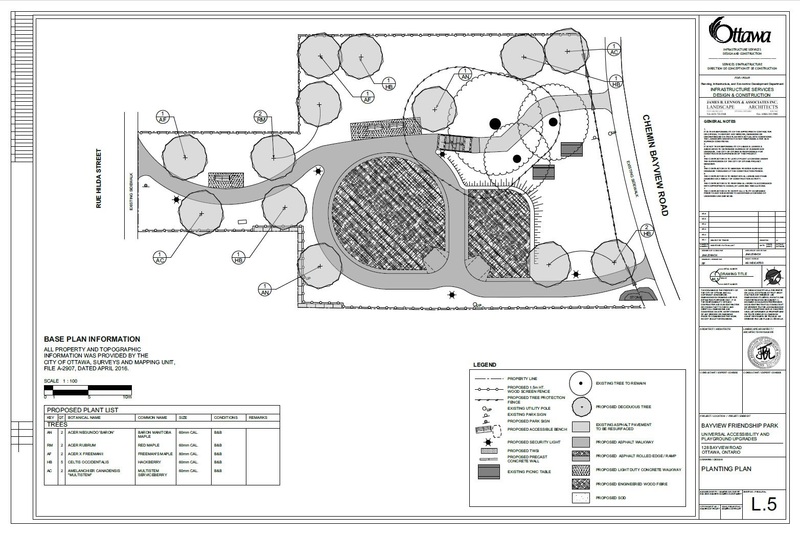 It is to be noted that the existing park play structures are not up for replacement at this time, and will therefore be re-installed into the improved play equipment area. Environmental site assessments completed in support of the park project identified a layer of fill across the site containing concentrations of polycyclic aromatic hydrocarbons (PAHs) and certain metals in excess of the applicable provincial standards for parkland. As a result of the findings, the City’s Environmental Remediation Unit will be implementing an environmental risk management program in conjunction with the park improvements and will be removing and isolating the impacted soil identified at the site. More information on the environmental remediation can be found attached below. Additional details regarding the construction schedule will be available in the coming weeks.